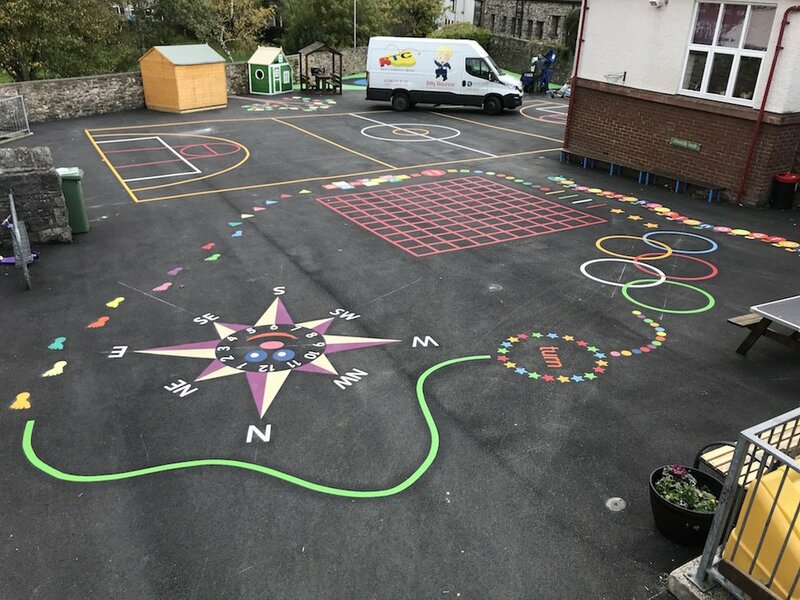 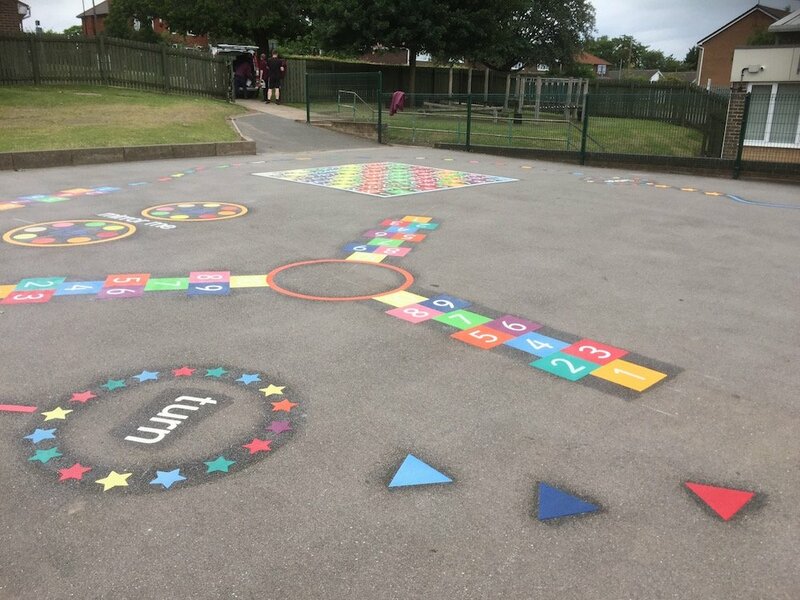 Our installation team travelled to Mexborough in Doncaster to install a range of playground markings for St John’s C of E Infant School. 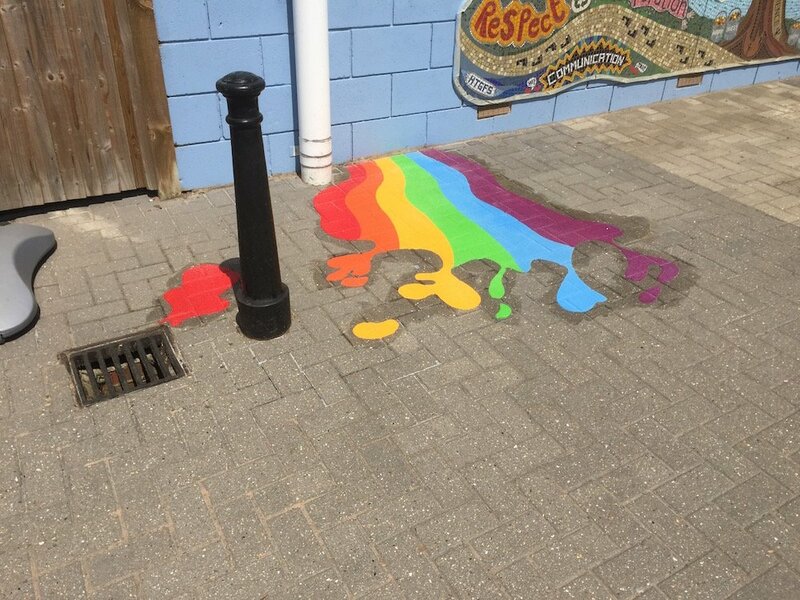 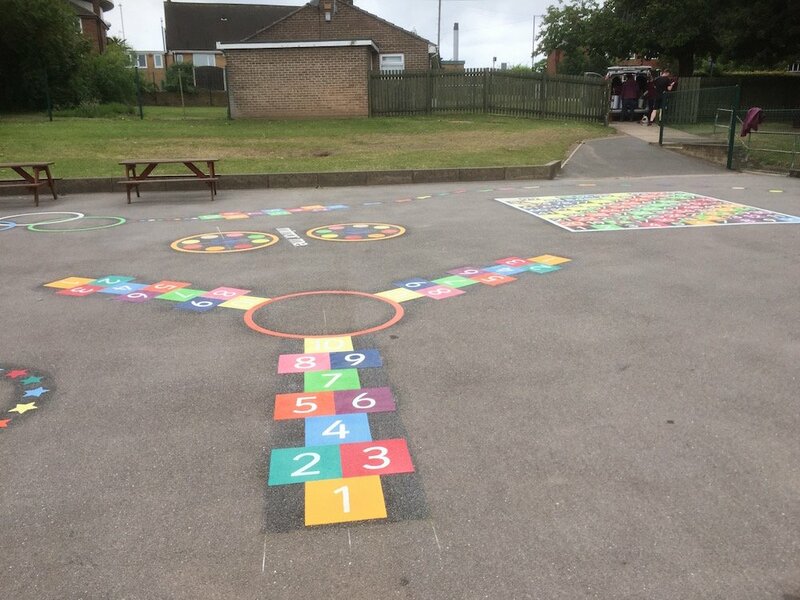 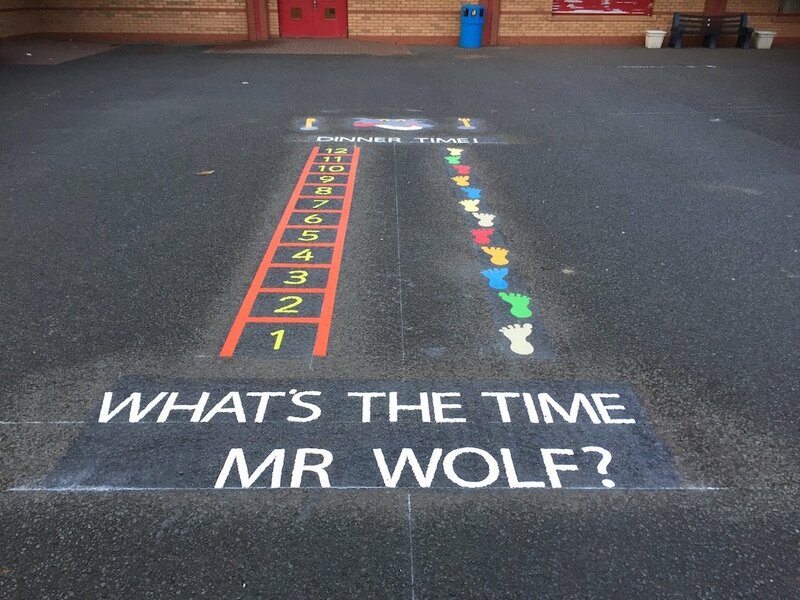 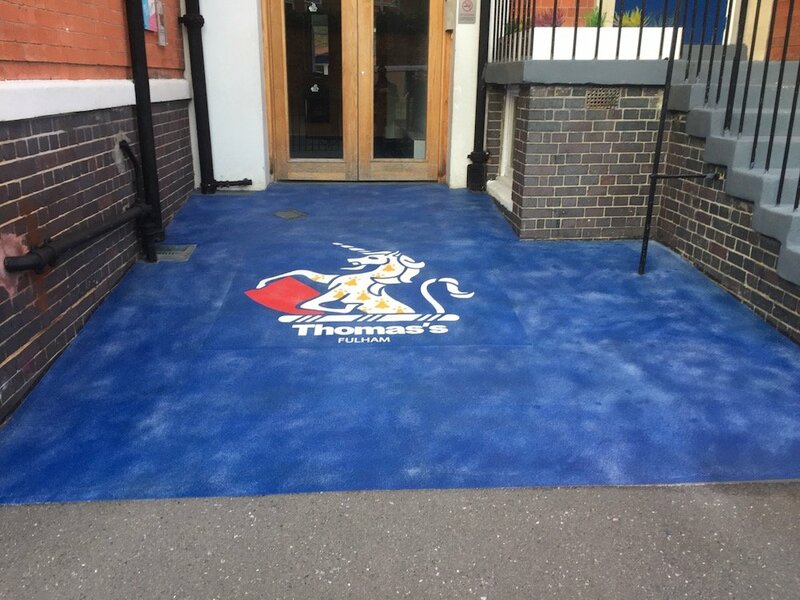 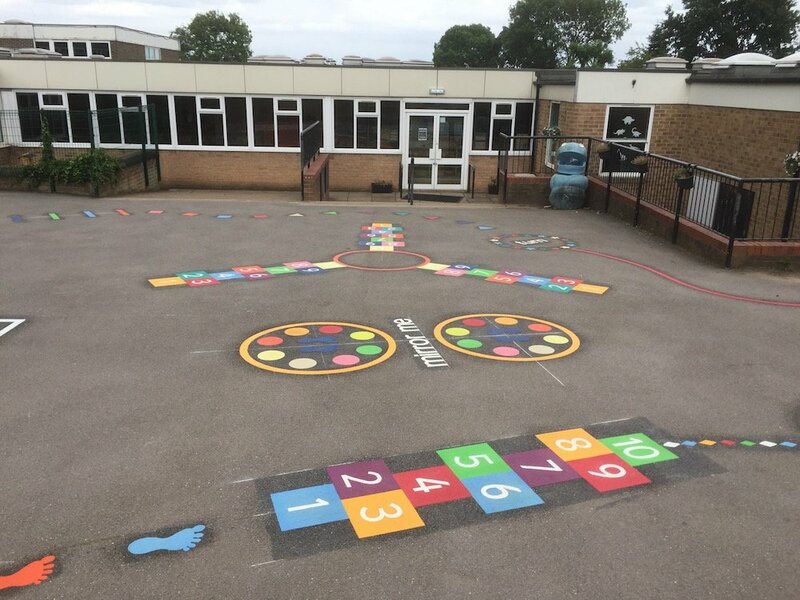 Our team travelled to Mexborough to St John’s C of E Infant School to install a range of vivid playground markings. 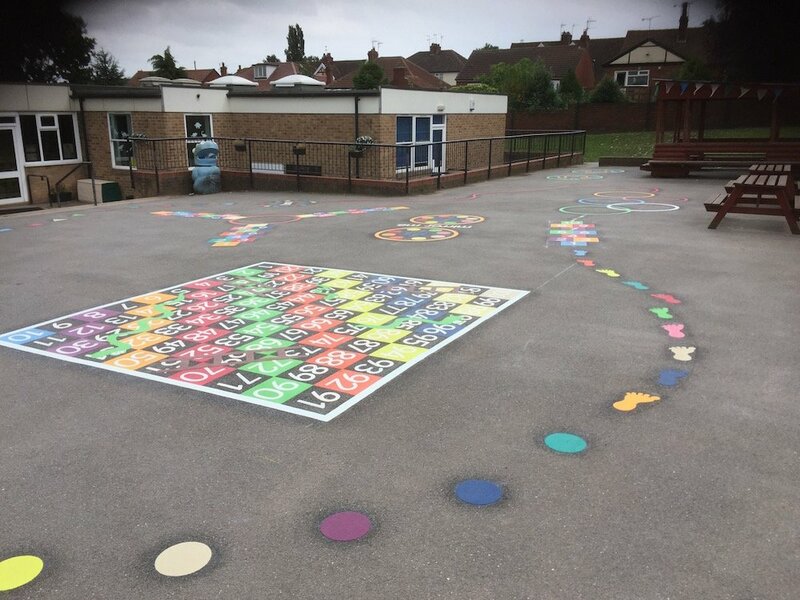 These playground markings consisted of a 1-100 Grid, a 1-100 Snakes and Ladders, a 3 Way Hopscotch, an Olympic Trail, a Mirror Me and a Multi-Court. 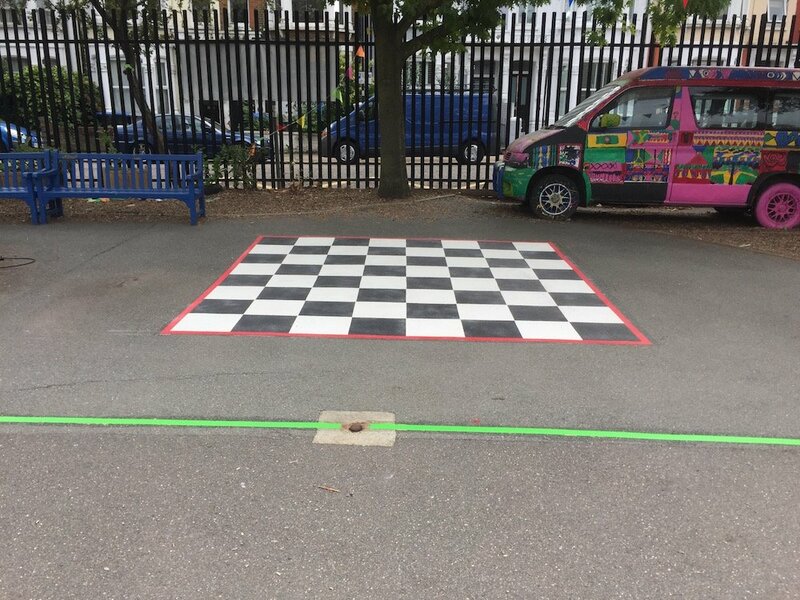 Firstly, the team took to installing this 1-100 Grid. 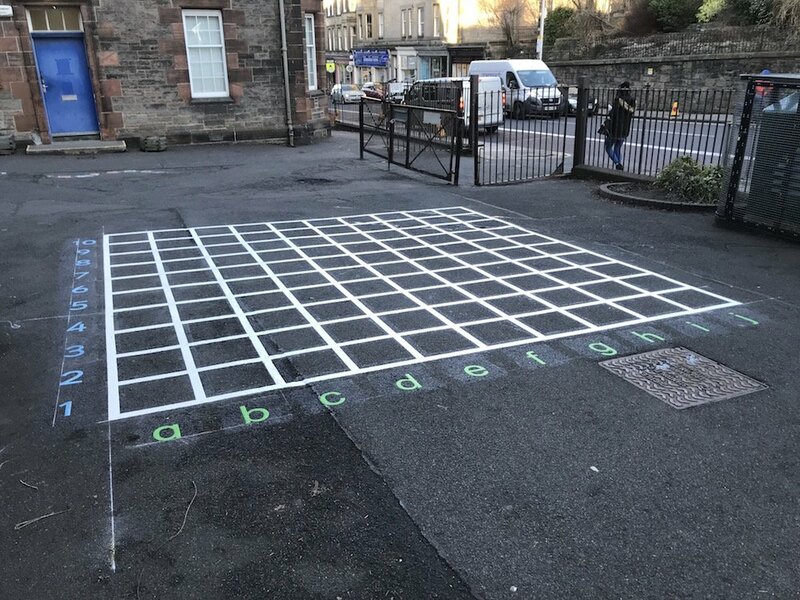 The 1-100 Grid has various different game uses and is a great teaching tool for mathematics teachers. 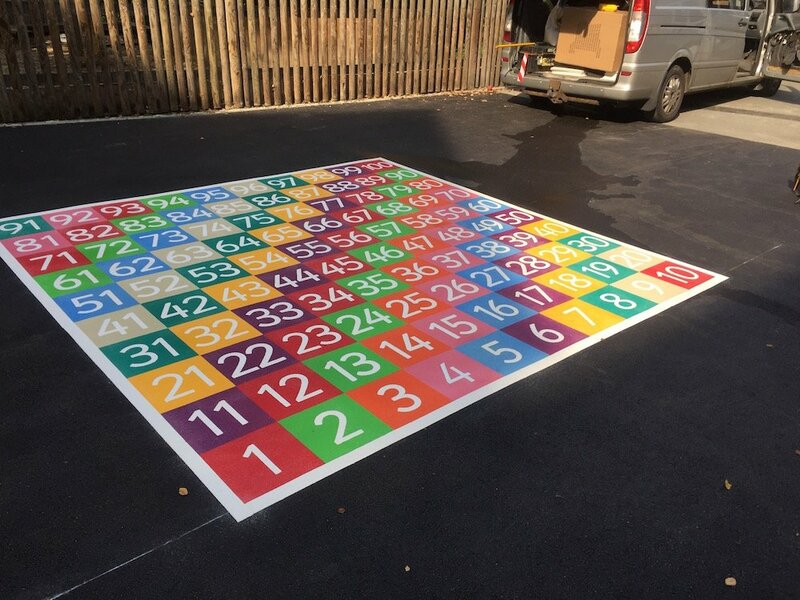 Next, the team installed this 1-100 Snakes and Ladders. 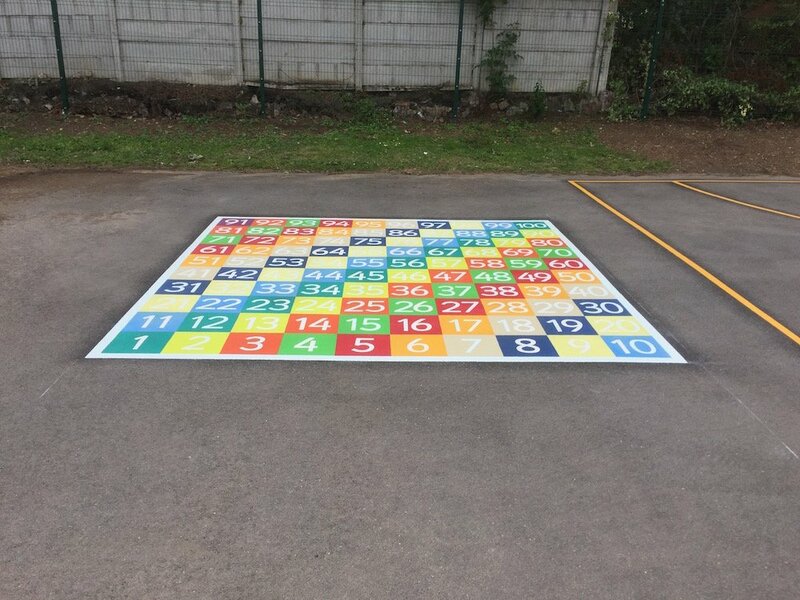 We then installed this 3 Way Hopscotch. 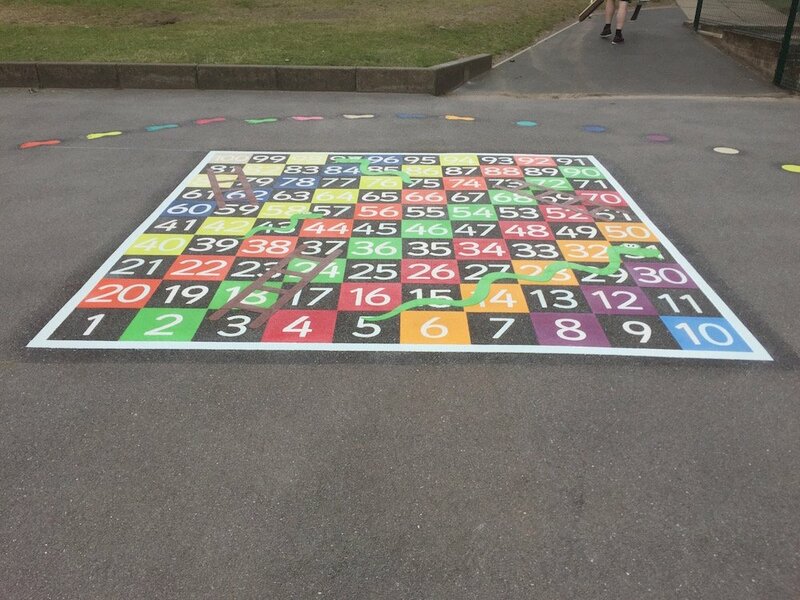 This is a 3 player version of our Classic Hopscotch. 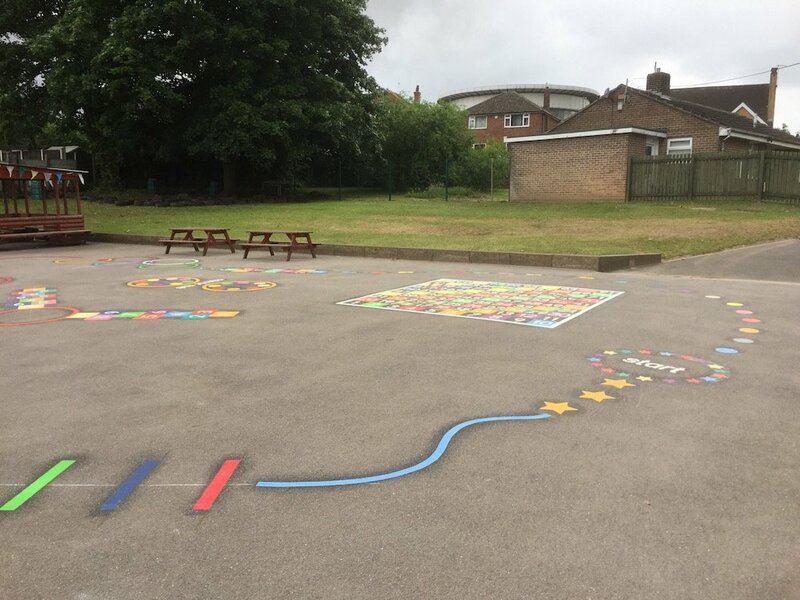 Then we installed this Olympic Trail.